We sell A. Vogel (Bioforce) products like A. Vogel Agnus Castus drops (50ml tincture) - Chaste Tree online in the UK and directly from our award-winning store in Scotland. Agnus Castus is a licensed herbal remedy which can be used for the relief of premenstrual symptoms. Where can you buy real Agnus Castus 50ml safely online? If you are wondering where you can buy A. Vogel Agnus Castus drops (50ml tincture) - Chaste Tree safely online in the UK, then shop with us. 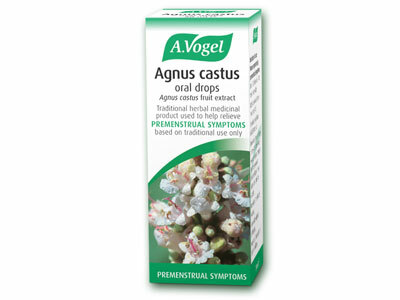 Agnus Castus 50ml - A. Vogel Agnus Castus drops (50ml tincture) - Chaste Tree in Female Health and Herbal Remedies, Tinctures & Supplements.